PNW District Optimist Clubs: Ho, Ho, Hello! Here's a pretty simple Christmas project that your Optimist Club might do even on short notice. 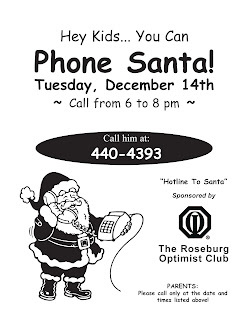 The Roseburg Optimist Club has set up a hotline straight to Santa Claus. He's a really busy guy during this time of the year so the hours for the Roseburg area hook-up is rather limited; but he hopes to hear from as many children as possible on Tuesday, December 14, 6:00 to 8:00 p.m.
Why not give Santa's scheduler a buzz and see if you can arrange a time in your community? 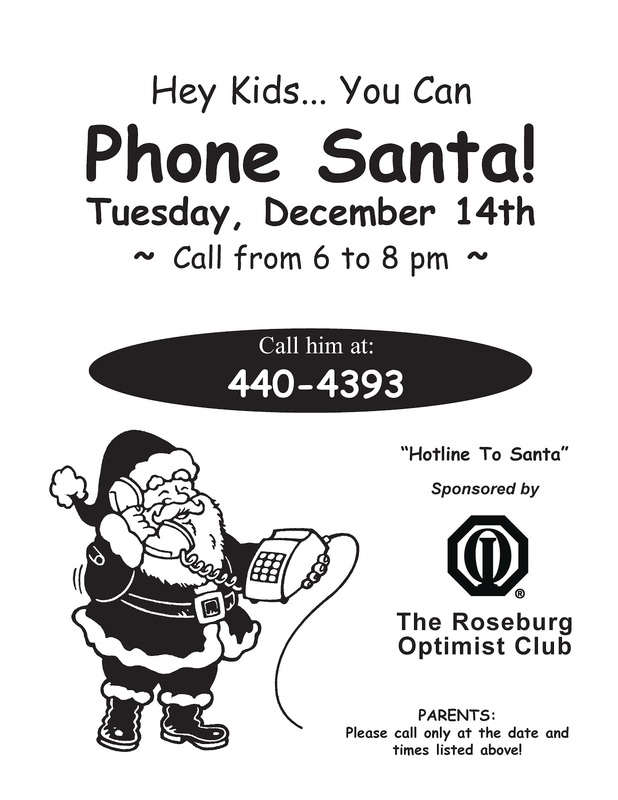 See the Roseburg Hotline to Santa flyer here.